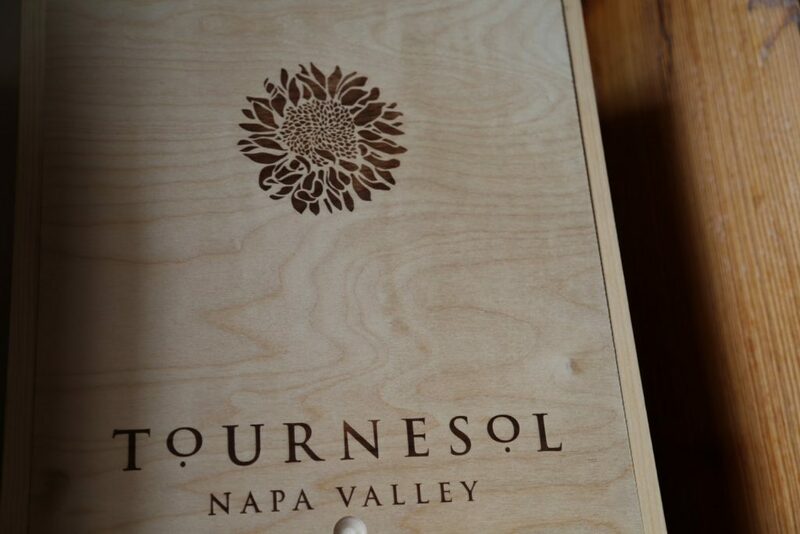 Tournesol Wine is owned by Bob and Anne Arns (no relation to Arns Winery on Howell Mountain). Their 10 acre vineyard site is planted in Coombsville (Napa’s newest sub appellation), located just east of the town of Napa. Their vineyard is in the south eastern part of Coombsville against the hills of the Vaca Mountains. Coombsville is generally known for being a cooler region as it is located in the southern part of the Napa Valley closer to the moderating affects of the San Pablo Bay. However the part of Coombsville where their vineyard is located is in somewhat of banana belt and gets warmer then other areas in this southern part of the valley. It has its own unique microclimate. In fact on the day we visited the site we had driven down from Oakville in the morning which you would think would be warmer than Coombsville. Not on this day as by the time we reached the eastern part of Coombsville to the vineyard site the temperature was considerably warmer than Oakville. Their vineyard location sits about 300 feet above the valley floor. While not necessarily a steep vineyard the site is full of rocks. Bob spoke of having a D7 Caterpillar come in to “rip” the vineyard and make some serious effort in breaking up and moving the large rocks. There is a shelf of rock that sits just under the topsoil in parts of the surrounding terroir. Needless to say, the vines have to struggle to become initially established. The vineyard was planted in 1999 soon after the Arns’ purchased the property. 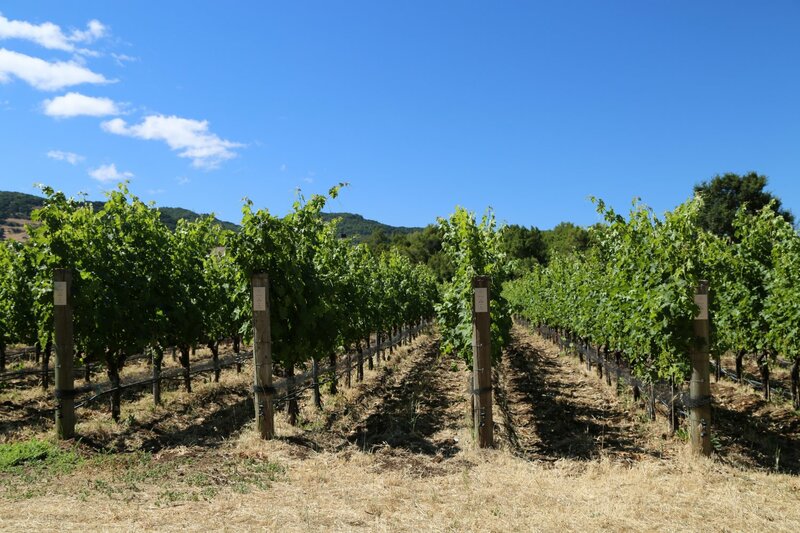 Well regarded viticulturist Mary Hall (now manages Harlan Estate’s vineyards) chose a variety of rootstalks and clones to match the specific micro terroir regions on the property. The vineyard is planted to the five primary Bordeaux varietals. 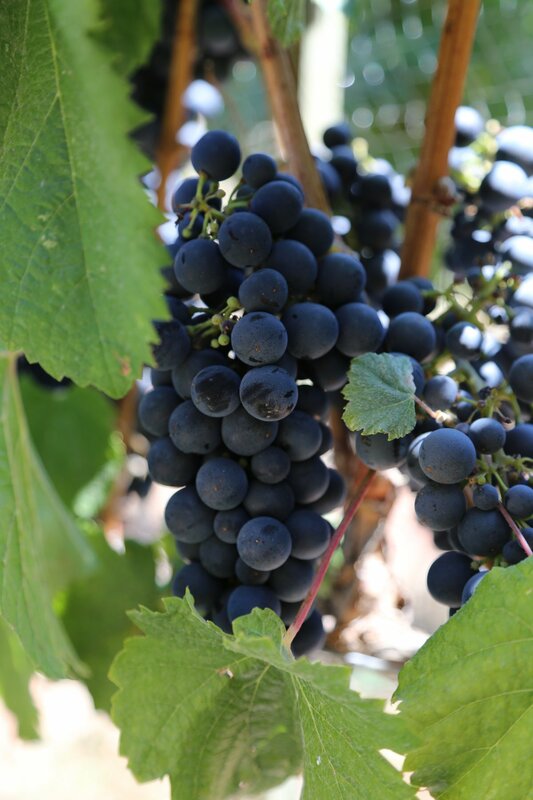 No fruit is sold from the vineyard – only the highest quality fruit is used in their final wines and a typical vintage sees just under 1000 cases. The vineyard management is very much a hand operation from managing weeds to pruning, dropping fruit and harvest. 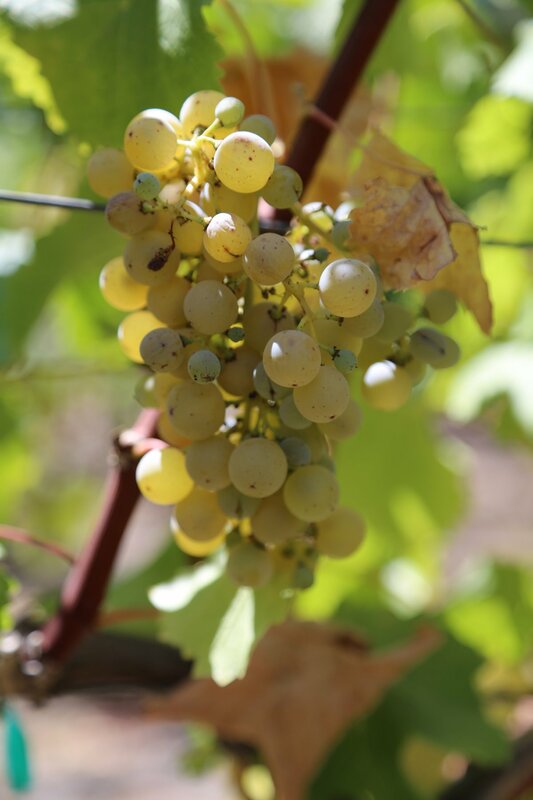 In addition the vineyard is managed sustainable with much thought and effort given to the impact on the soils as well as the nearby water sources (there is small creek next to the vineyard that runs all year in part from a spring higher up in the hills). 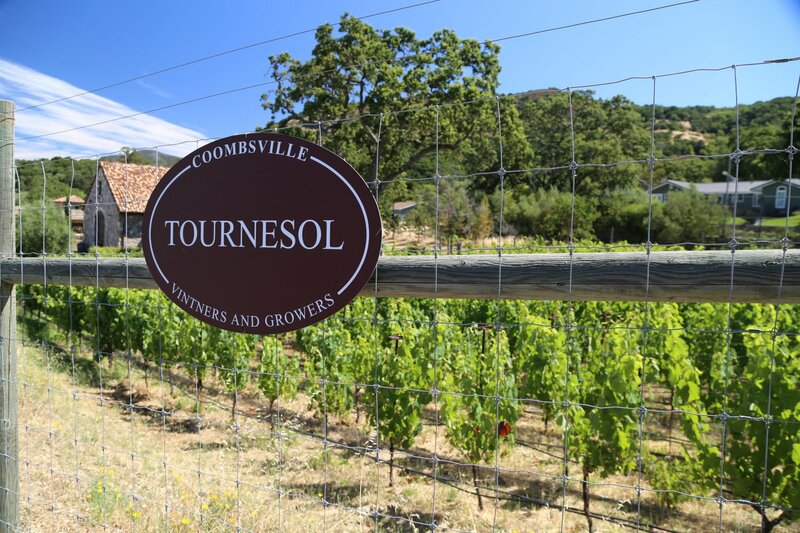 The name Tournesol is French for “turning to the sun” and in part ties in to their vineyards’ exposure (east to west) and how sunflowers turn their “heads” from east to west throughout the day. Bob has lived in “the city”, San Francisco for many years and currently runs a successful law firm. He has been passionate about wine for a long time and selected this site specifically for its vineyard potential. This is not a story of someone who moves to the valley without the intent of getting into the wine industry and then becomes pulled in by the “Napa Allure”. Rather this site was specifically selected for its unique terroir. 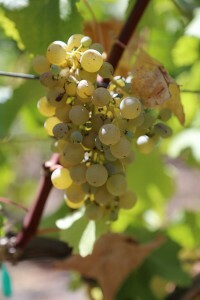 At the time of their initial purchase it was not planted to vine. 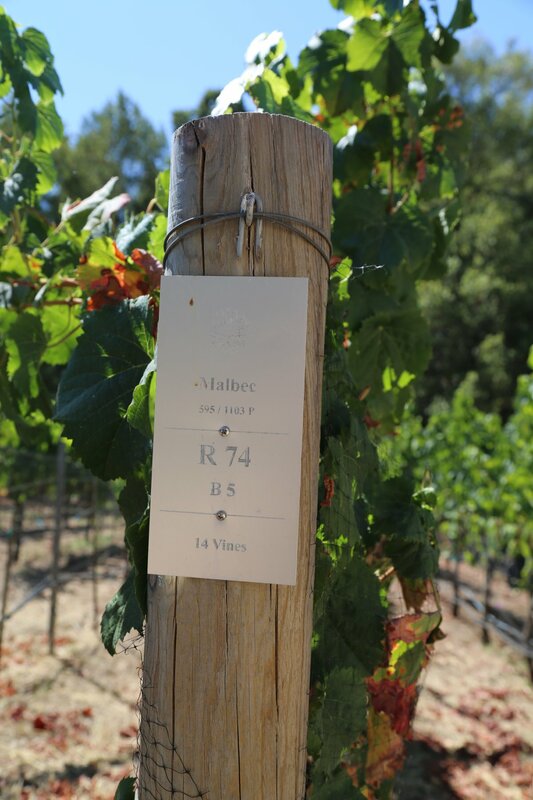 While not actually having a physical winery on the property their wine is made just “down the street” at a nearby winery by winemaker Ken Bernards (he has made their wine every year since the first vintage). Their focus is on two wines each year a Cabernet Sauvignon based Bordeaux blend and a Cabernet Sauvignon. The more and more we taste of Coombsville fruit the more we are impressed by this region; Coombsville is producing high quality wines that rival anything from up valley and Tournesol’s wines are no exception. The 2005 Proprietor’s Blend shows elegant red and dark fruit aromas as well as black fig, a bit of smokiness and a touch of cedar. The entry is soft and somewhat misleading as to the power that follows; the palate quickly leads to complex flavors including blackberry, plum and blueberry. Vanilla bean and espresso notes show on the finish which is supported by delicate fine grained tannins. At the time of our tasting this is their current release; the additional bottle age has treated this wine well. The Proprietor’s Blend is always unique each year as it is blended with the best combination of varietals from each particular vintage. Their intent for future vintages of their Cabernet Sauvignon is to produce this wine so that it is blended with additional Bordeaux varietals. However the 2005 Cabernet Sauvignon is 100% Cabernet Sauvignon. It is a noticeably bigger wine than the Proprietor’s Blend. This is a wine that evolves very well in the glass especially on the nose. 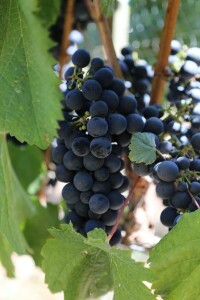 The bouquet is initially all about the fruit, mostly dark in nature. Over time notes of dusty powdered brown chocolate, cocoa and a unique minerality show. The mouth feel is juicy and rounded throughout with a structure that shows broad ripe tannins on the very long finish. The mid palate shows briary blackberry and notes of black cherry. While showing good structure, the finish is not out of balance. This is an age worthy wine but is certainly approachable now.